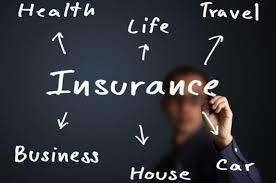 The business of life insurance in India in its existing form started in India in the year 18181 with the establishment of the Oriental Life Insurance Company in Calcutta followed by Bombay Life Assurance Company in 1823. In 18702, the first Indian company, Bombay Mutual life insurance came into existence. Thereafter, Madras Life Insurance Society came into being in 1874. The General insurance business in India, on the other hand, can trace its roots to the Triton Insurance Company Ltd., the first general insurance company established in 1850 in Calcutta by the British. As regards Insurance sector reforms, Malhotra Committee, headed by former Finance Secretary and RBI Governor R.N Malhotra, was formed to evaluate the Indian insurance industry in 1993. The committee recommended its future direction. The Malhotra committee was set up with the objective of complementing the reforms initiated in the financial sector.  As regards Structure, Government stake in the insurance Companies should be brought down to 50%. Government should take over the holdings of GIC and its subsidiaries so that these subsidiaries can act as independent Corporations. All the insurance companies should be given greater freedom to operate.  As regards Competition, private Companies with a minimum paid up capital of Rs. 1 bn should be allowed to enter the industry. No Company should deal in both Life and General Insurance through a single entity. Foreign companies may be allowed to enter the industry in collaboration with the domestic companies. Postal Life Insurance should be allowed to operate in the rural market. Only one State Level Life Insurance Company should be allowed to operate in each state.  As regards Regulatory Body, the Insurance Act should be changed. An Insurance Regulatory body should be set up and Controller of Insurance should be made independent.  As regards Investments, mandatory Investment of LIC Life Fund in Government Securities should be reduced from 75% to 50%. GIC and its subsidiaries are not to hold more than 5% in any company.  As regards Customer Service, the committee recommended that LIC should pay interest on delay in payments beyond 30 days. Insurance companies must be encouraged to set up Unit Linked Pension Plans. Computerization of operation and updating of technology should also be carried out in the insurance industry. The committee emphasized that in order to improve the customer services, the coverage of the insurance industry should be opened up to competition. But at the same time, there is a need to exercise caution as any failure on the part of the new players could ruin the public confidence in the industry. Hence, it was decided to allow competition in a limited way by stipulating the minimum capital requirement of Rs. 100 crore. The committee realized the need to provide greater autonomy to insurance companies in order to improve their performance and enable them to act as independent companies with economic motives. So, it suggested to establish up an independent regulatory body.